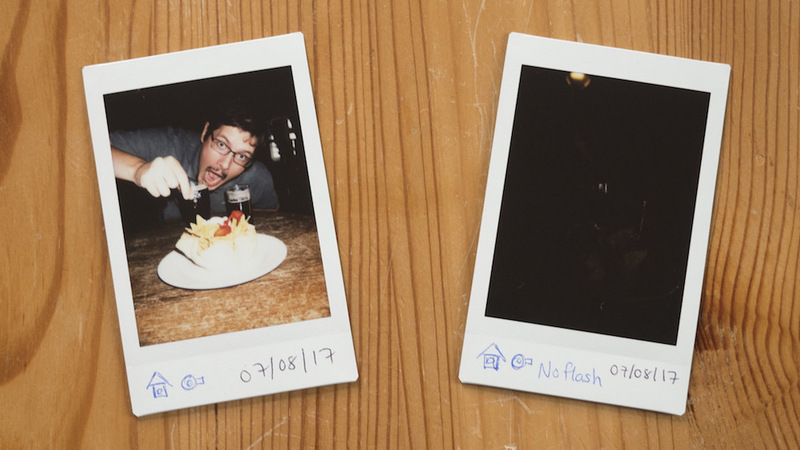 The most common place to use flash is indoors, such as a restaurant or pub, but it is also handy for outdoor photography if you want to eliminate shadows from contrasty scenes. For example, it can light up the face of a person who is standing in a shady place. 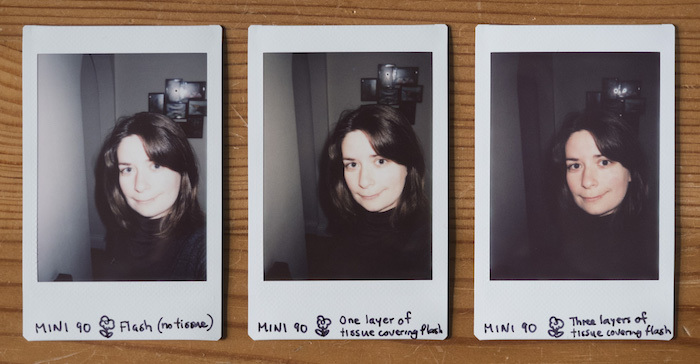 Unlike the flashes of other Instax cameras such as the Mini 70 or Mini 90, the Mini 9 (and its predecessor the Mini 8) have something called a constant firing flash. What this means is that the flash fires regardless of the settings chosen, or the available light in the scene. The flash may adjust according to the intensity of the light, but that’s about it. The Mini 70‘s flash, by contrast, won’t fire if you use the Landscape mode on a sunny day, whereas with the Mini 90, you have the option to turn it off completely. The Mini 9’s flash has a recycle time of 0.2 seconds to 6 seconds when new batteries are used, and its effective range is 0.6 to 2.7 meters. If your subject is beyond the furthest reach of the flash, it won’t be illuminated. What if you don’t want the flash to fire? 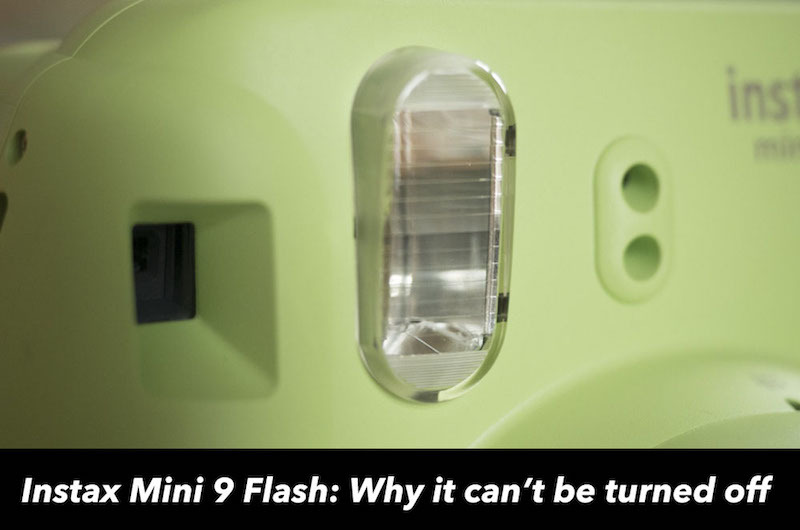 The truth is that, in most cases, you will need the flash when using the Mini 9. This is because, with the exception of bright outdoor scenes, its slowest shutter speed (1/60 of a second) and fastest aperture (f/12.7) aren’t sufficient to expose the film. Take for example the two photos below. For the first, I used the Indoor brightness setting and let the flash fire normally. For the second, I covered the flash. As you can see, the difference is striking: whereas the first is properly exposed, you can only make out the hanging lamp in the second. In short, it is always a good idea to let the flash do its job. The only real exception is outdoor landscape photography. For this genre, it doesn’t really matter whether the flash is covered or not because the flash’s light will not travel beyond 2.7 meters anyway. 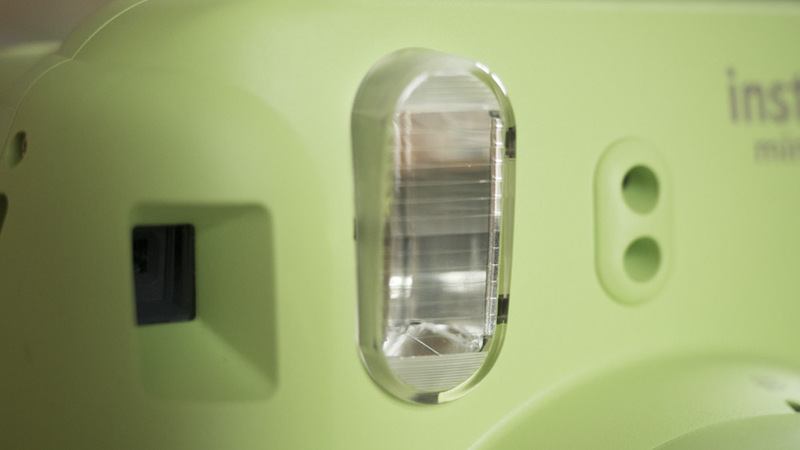 Note: if you do cover the flash outdoors, do not cover the exposure sensor (the two holes beside the flash). If you do, the camera won’t be able to read the light conditions properly or suggest the correct brightness setting. But the flash is too intense! Yes, I agree that the Mini 9’s flash can be a little intense, especially at close range. More often than not, it can wash the details out of a person’s face which, depending on the kind of shot you want to take, may or may not be a good thing! If you want to reduce the intensity of the flash and diffuse the light, the best thing is to cover it with a piece of translucent tape, tissue paper or facial tissue. As long as some light can get through, you can usually achieve good results as you can see below. 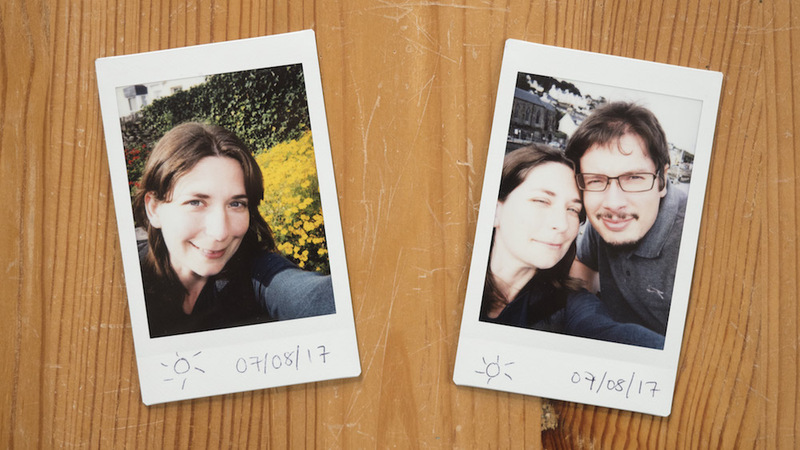 Note: the following pictures were taken with the Instax Mini 90 but the very same principle applies.